"If you need more traffic, leads and sales, you need The Conversion Code. 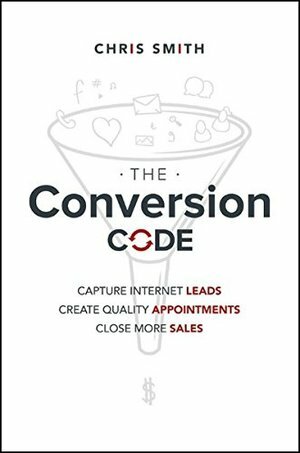 "Neil Patel co-founder Crazy Egg"We've helped 11,000+ businesses generate more than 31 million leads and consider The Conversion Code a must read. "Oli Gardner co-founder Unbounce"We'd been closing 55% of our qualified appointments. We increased that to 76% as a direct result of implementing The Conversion Code. "Dan Stewart CEO Happy Grasshopper"The strategies in The Conversion Code are highly effective and immediately helped our entire sales team. The book explains the science behind selling in a way that is simple to remember and easy to implement." Steve Pacinelli CMO BombBombCapture and close more Internet leads with a new sales script and powerful marketing templatesThe Conversion Code provides a step-by-step blueprint for increasing sales in the modern, Internet-driven era. Today's consumers are savvy, and they have more options than ever before. Capturing their attention and turning it into revenue requires a whole new approach to marketing and sales. This book provides clear guidance toward conquering the new paradigm shift towards online lead generation and inside sales. You'll learn how to capture those invaluable Internet leads, convert them into appointments, and close more deals. Regardless of product or industry, this proven process will increase both the quantity and quality of leads and put your sales figures on the rise.Traditional sales and marketing advice is becoming less and less relevant as today's consumers are spending much more time online, and salespeople are calling, emailing, and texting leads instead of meeting them in person. This book shows you where to find them, how to engage them, and how to position your company as the ideal solution to their needs. Engage with consumers more effectively online Leverage the strengths of social media, apps, and blogs to capture more leads for less money Convert more Internet leads into real-world prospects and sales appointments Make connections on every call and learn the exact words that close more sales The business world is moving away from "belly-to-belly" interactions and traditional advertising. Companies are forced to engage with prospective customers first online--the vast majority through social media, mobile apps, blogs, and live chat--before ever meeting in person. Yesterday's marketing advice no longer applies to today's tech savvy, mobile-first, social media-addicted consumer, and the new sales environment demands that you meet consumers where they are and close them, quickly. The Conversion Code gives you an actionable blueprint for capturing Internet leads and turning them into customers.